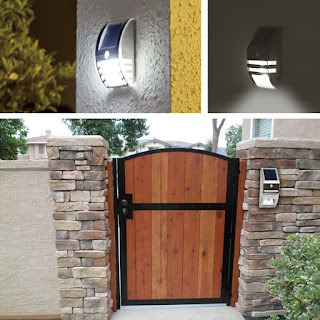 Secure your home and make the outdoors safe with OxyLED Solar motion sensor LED lights. They are powered by the sun during the day and are perfect for illuminating pathways, stairs, walkways, docks and decks by night. They can be easily mounted either vertically or horizontally. Each light runs for up to ten hours on a full charge, and their photocell sensors automatically turns it on at dusk and off at dawn. Using the passive infrared (PIR) technology, the light will become brighter when motion is detected. If you are looking for a light option that will add to your safety, security and convenience, look no further than this OxyLED product!